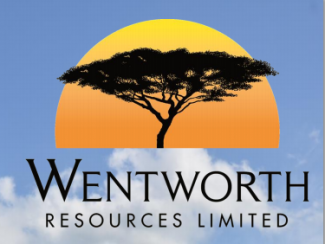 Wentworth Resources has reported a $4.5 million loss for the six months ended in June 30th 2015 as second quarter exploration dropped and development capital expenditures increased significantly to $2.31 million and $7.04 million, respectively, compared to $3.69 million and $0.30 million, respectively, in 2014. On July 1, 2015 the company successfully completed a private placement and issued 15,412,269 new common shares for cash consideration of $0.50 per share for total gross proceeds of $7.64 million. According to managing director Geoff Bury the new funds further secure the Company’s balance sheet in advance of generating cash flow once gas sales start in the coming weeks. Wentworth Resources has 39.925 percent participating interest in exploration and 31.94 percent in production while the operator Marel et Prom has 48.06 percent and 60.075 percent participating interest in exploration and production respectively. The Tanzania Petroleum Development Corporation will also acquire a 20% production interest during production. I simply want to say I am just very new to blogs and truly savored this web blog. Likely I’m planning to bookmark your blog post . You certainly come with good articles. With thanks for revealing your webpage. Nice post. I was checking constantly this blog and I’m impressed! Very helpful information specially the last part 🙂 I care for such information a lot. I was seeking this particular information for a long time. Thank you and good luck. Whats Going down i’m new to this, I stumbled upon this I’ve found It absolutely helpful and it has aided me out loads. I’m hoping to contribute & aid different users like its aided me. Good job. Sorry for the significant research, however I am really loving the fresh Zune, and anticipate this, as very well as the excellent assessments some other men and women contain penned, will support your self come to a decision if it really is the right selection for you. The Zune concentrates on becoming a Moveable Media Player. Not a world wide web browser. Not a video game machine. Potentially inside of the foreseeable future it’ll do even much better in just those areas, still for at the moment it can be a fantastic direction towards arrange and pay attention to your new music and movies, and is without having peer inside that respect. The iPod’s rewards are its world wide web visiting and applications. If those stable excess powerful, perhaps it is your most straightforward selection. Can I just say what a comfort to uncover someone that actually understands what they are discussing over the internet. You certainly know how to bring an issue to light and make it important. A lot more people ought to read this and understand this side of your story. I was surprised that you aren’t more popular given that you most certainly possess the gift. Useful information. Fortunate me I discovered your website by chance, and I’m stunned why this accident didn’t took place in advance! I bookmarked it. Its like you read my mind! You seem to know so much about this, like you wrote the book in it or something. I think that you could do with some pics to drive the message home a little bit, but other than that, this is magnificent blog. A great read. I’ll definitely be back. I’m still learning from you, but I’m trying to reach my goals. I absolutely enjoy reading everything that is posted on your blog.Keep the aarticles coming. I enjoyed it! I have read some good stuff here. Definitely worth bookmarking for revisiting. I wonder how much effort you put to create such a fantastic informative site. Concerning me and my spouse we’ve owned further MP3 gamers higher than the several years than I can rely, together with Sansas, iRivers, iPods (classic & touch), the Ibiza Rhapsody, etcetera. But, the ultimate several several years I’ve fixed down to a single line of avid gamers. Why? Given that I was pleased towards investigate how well-designed and enjoyment in direction of use the underappreciated (and widely mocked) Zunes are. Thank you for every other wonderful post. Where else may just anyone get that type of info in such an ideal method of writing? I have a presentation subsequent week, and I’m on the look for such info. Great post. I was checking constantly this blog and I’m impressed! Extremely useful info specially the last part 🙂 I care for such information much. I was seeking this certain info for a long time. Thank you and best of luck. This is starting to be a little bit a lot more subjective, however I a lot like the Zune Industry. The interface is colorful, contains added aptitude, and some neat functions like ‘Mixview’ that enable you out of the blue perspective related albums, music, or other consumers similar to what you are listening to. Clicking on just one of people will center upon that solution, and an additional established of “neighbors” will occur into check out, allowing for on your own toward navigate near researching by means of equivalent artists, new music, or end users. Speaking of users, the Zune “Social” is too Wonderful enjoyment, allowing oneself uncover others with shared tastes and getting mates with them. Your self then can pay attention to a playlist developed based on an amalgamation of what all your pals are listening in the direction of, which is also exciting. People worried with privacy will be relieved to comprehend oneself can stop the public in opposition to viewing your specific listening behavior if by yourself consequently come to a decision. I would like to thank you for the efforts you have put in writing this site. I am hoping the same high-grade blog post from you in the upcoming also. In fact your creative writing abilities has inspired me to get my own blog now. Really the blogging is spreading its wings rapidly. Your write up is a good example of it. Apple now contains Rhapsody as an app, which is a suitable start out, nevertheless it is presently hampered by way of the lack of ability in the direction of retail store locally upon your iPod, and has a dismal 64kbps bit selling price. If this improvements, then it will fairly negate this comfort for the Zune, nevertheless the 10 music per month will still be a substantial as well as within just Zune Pass’ favor. Apple at the moment contains Rhapsody as an application, which is a very good begin, however it is at the moment hampered by way of the incapacity toward retailer locally on your iPod, and has a dismal 64kbps little bit selling price. If this modifications, then it will somewhat negate this benefit for the Zune, nevertheless the 10 tunes for each month will continue to be a huge furthermore in Zune Pass’ desire. If you are still upon the fence: get your favourite earphones, intellect down to a Suitable Order and inquire toward plug them into a Zune then an iPod and perspective which a person seems improved towards on your own, and which interface tends to make your self smile additional. Then you can expect to notice which is immediately for on your own.